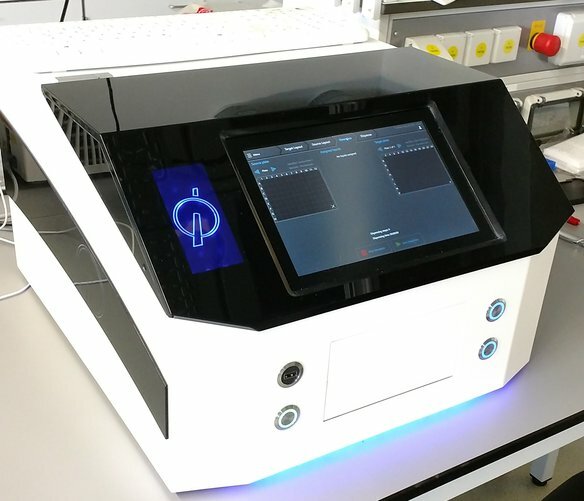 I-Dot One MC: This non-contact low-volume liquid handling platform allows the very rapid combination of different liquids such as DNA-fragments. Dispensing range starts at 2 nl and is almost dead volume free. 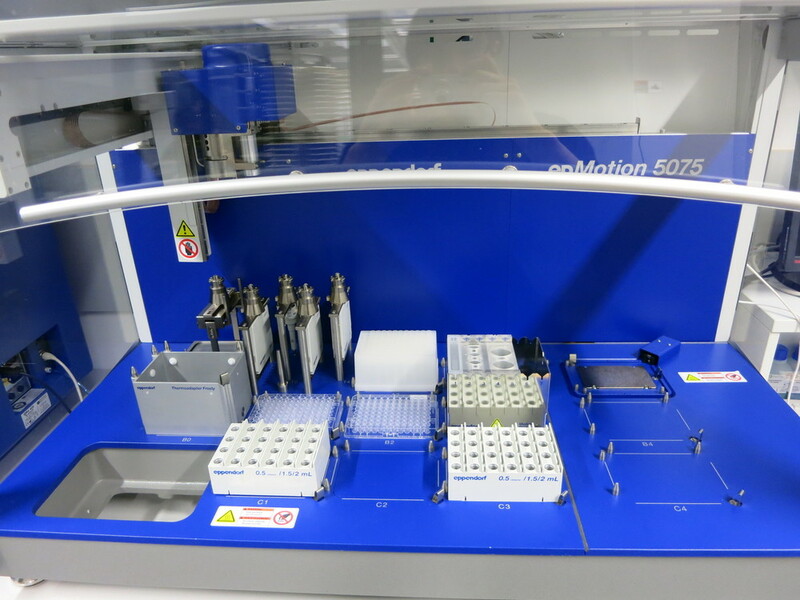 epMotion 5075TMX: We operate an epMotion 5075TMX pipetting robot. 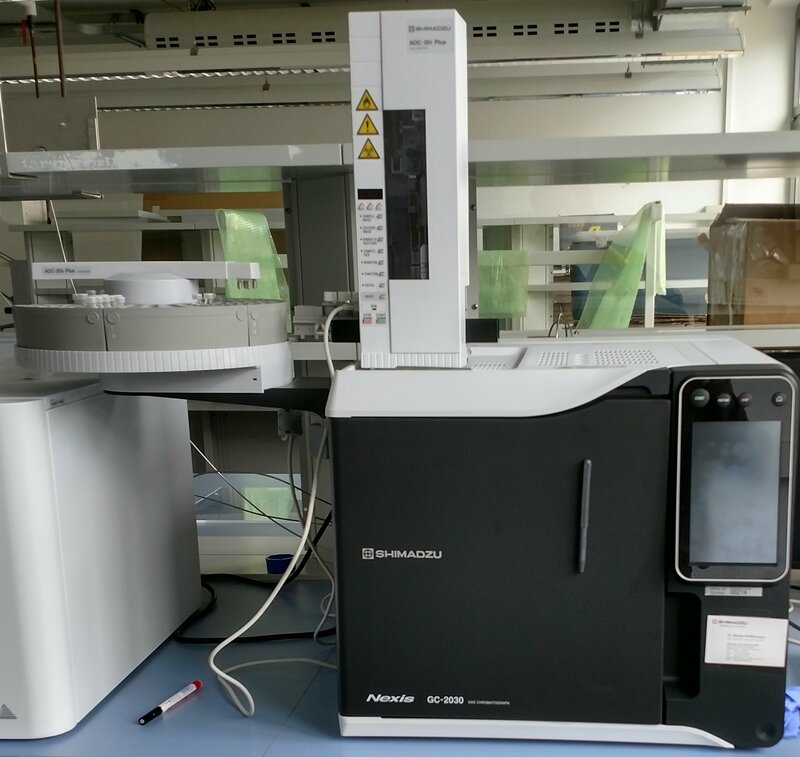 This machine can pipette, thermomix and incubate samples automatically and is especially useful for complex media setup, aliquoting and reformating of samples. 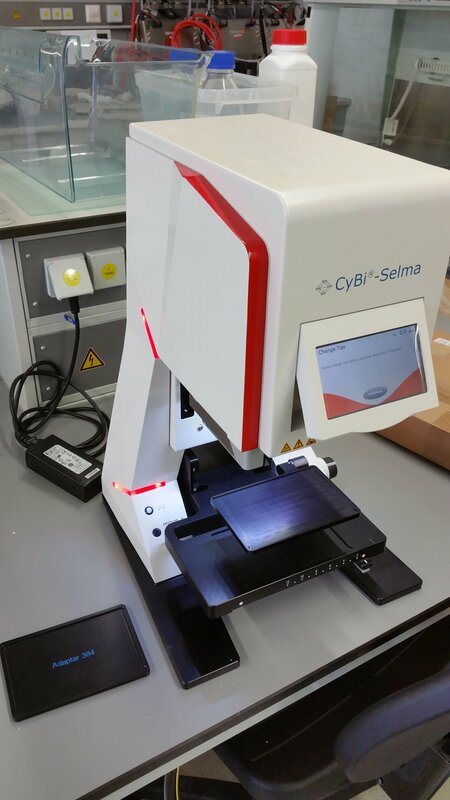 CyBio Selma: A semi-automated 96-tip pipette useful for the flexible handling of 96- and 384-well MTPs. 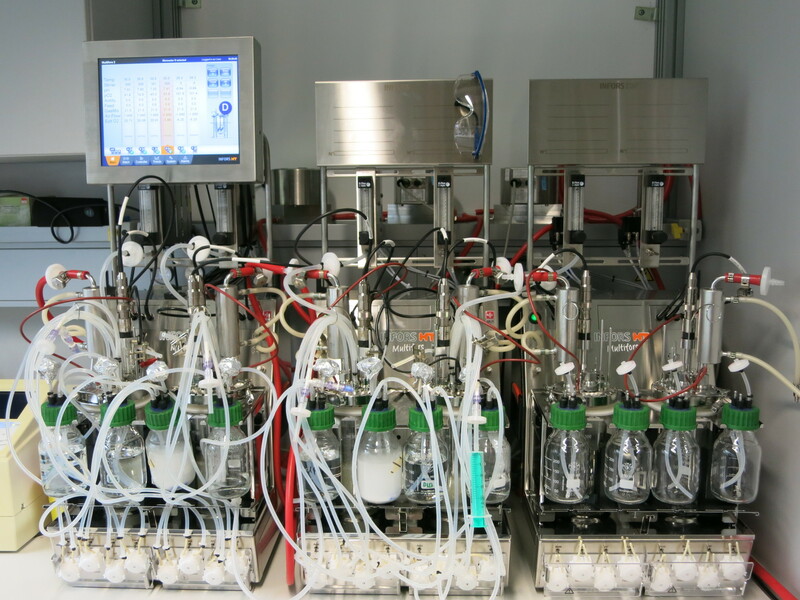 Kröte: This liquid handling platform with four needles for pipetting, incubation and an integrated thermocycler is currently on leave to enjoy the company of the TU Darmstadt iGEM-team. 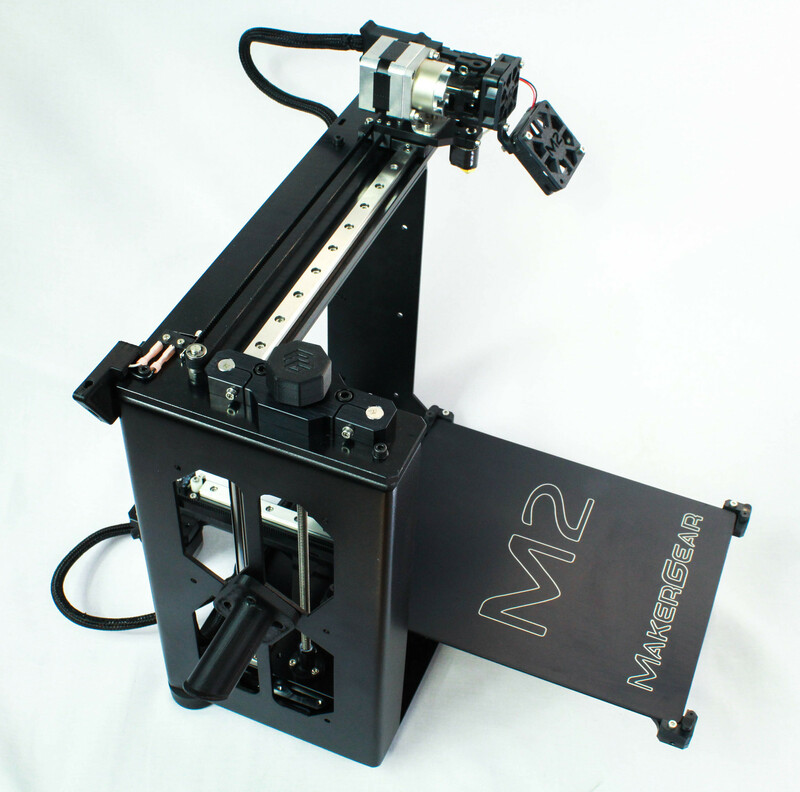 3D Printer (MakerGear M2): Our 3D printer helps us to develop custom labware for many different applications. Parallel Bioreactors: We are operating 6 Multifors bioreactors, three of them equipped with off-gas analysis and massflow controllers. 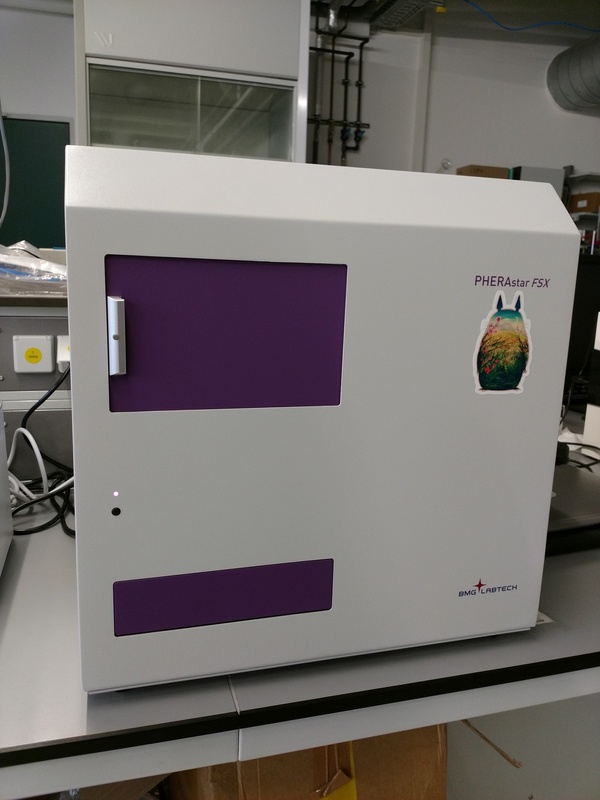 The system is applied for strain characterisation, optimization and small-scale cultivations. 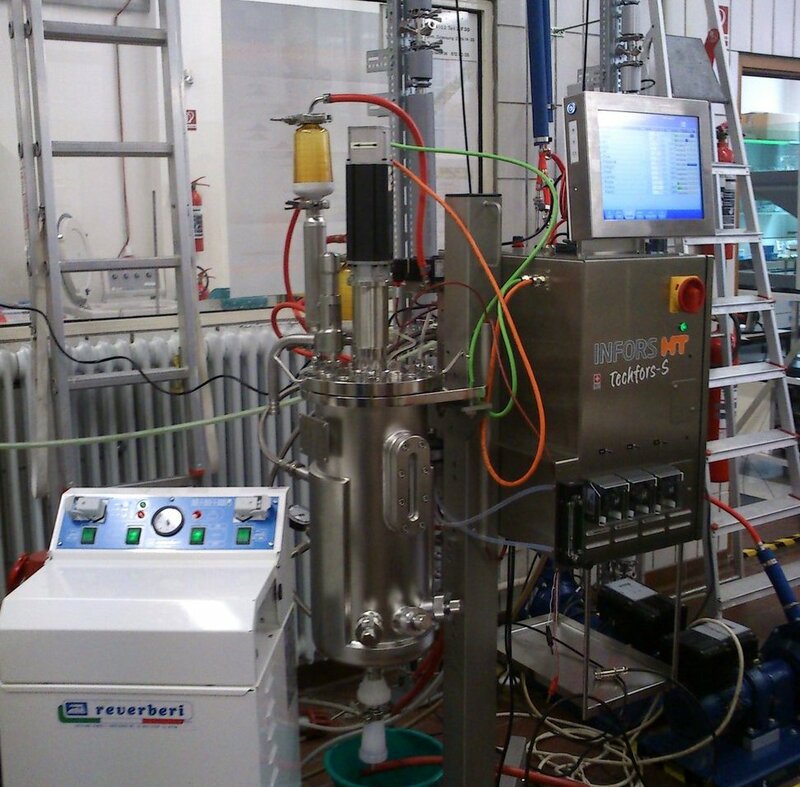 Pilot Bioreactor: Together with the Prof. Neubauer and Dr. Junne (TU-Berlin) we are operating a 15 Liter Techfors-S bioreactor, coupled to a plug-flow reactor, for scale-up/-down experiments. 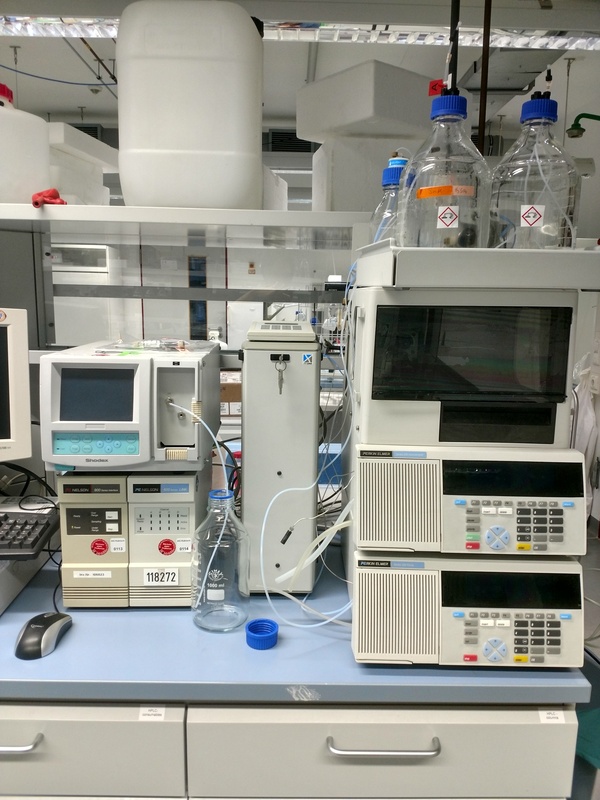 HPLC: We have an old but robust PE 200 with an autosampler, RI-, UV- and fluorescence- detectors as well as a fraction collector. 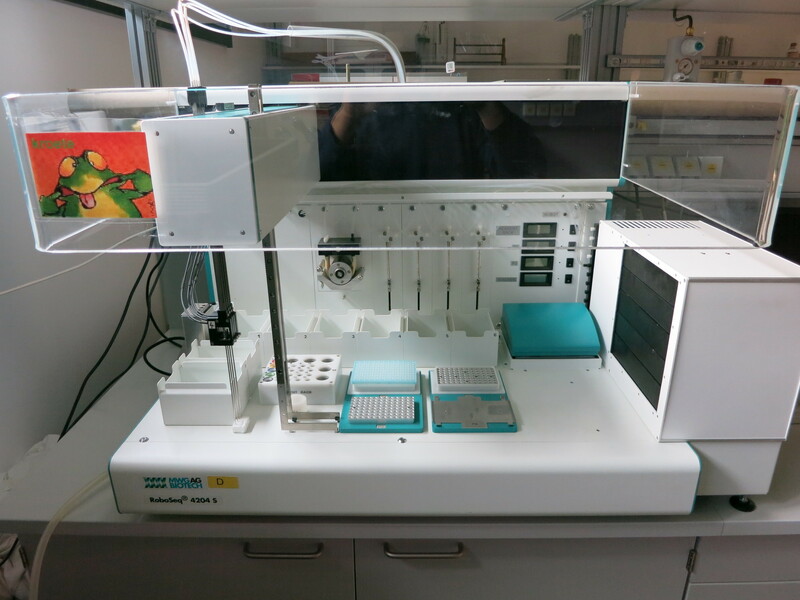 GC: Shimadzu GC-2030 with autosampler and FID detector. 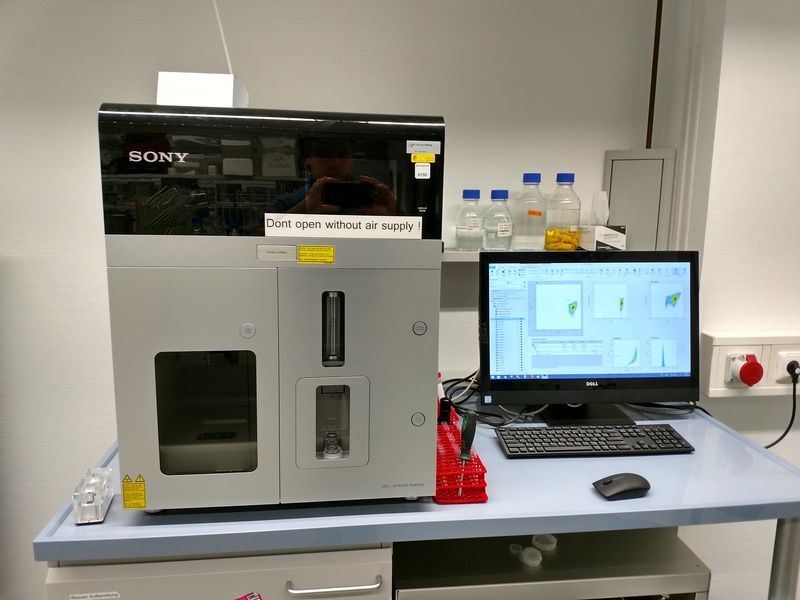 Cell Sorter: For high-throughput screening and selection we operate a Sony SH800SA. All parts that come into contact with the cells can be easily exchanged, thus feel free to contact us if you want to use the machine. Currently a 405 nm, 488 nm and a 638 nm laser are available. Everything for standard molecular biology (thermocycler, electrophoresis, electroporation, ...) and microbiology (shaking, cooling, disrupting [up to 2x 96 samples], ...).